The first time you visit Napa Valley…you never forget your experience. Napa has a way of making you think of leaving everything behind and finding a home in the hills surrounding the valley. But when you attend Auction Napa Valley…..you feel like you are home. Exceptional hospitality, fantastic food, amazing wine and friendly folk give you more reasons to visit again and again. 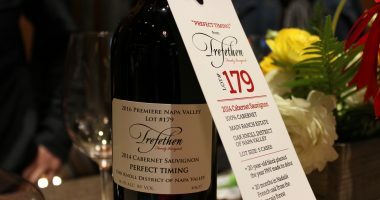 For the 8th year in a row we bring you the sights and sounds of Auction Napa Valley. The 2015 edition raised $15.8 million…funds that enrich the lives of more than 90,000 clients annually in Napa County. So instead of listening to me, let the podcast tell the story. Podcast #149-Auction Napa Valley 2015-Part one.